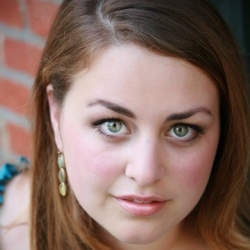 Christina holds a Bachelor of Music in Performance from Susquehanna University, and completed her Master of Music degree in voice at the University of Cincinnati College-Conservatory of Music in 2014 under the tutelage of Kenneth Shaw. While teaching at several private music schools in the area, Christina also holds a voice faculty position at Thomas More College in Crestview Hills, KY. Christina teaches students of various ages in various genres of singing including classical, musical theater, jazz, and pop. Each student can expect high quality instruction tailored to their individual needs and goals; topics of technique, vocal hygiene, expression, foreign language, performance, and musicianship will be covered throughout the course of study. As a compliment to her teaching, Christina is also an avid performer. During her time at CCM, she performed on the PBS special of “Monteverdi at CCM” and took on the role of Miss Wingrave in CCM’s mainstage production of Benjamin Britten’s Owen Wingrave. As an undergraduate, Christina performed scenes from Dialogue des Carmélites as Blanche de la Force and played the role of Rosalinde in their production of Die Fledermaus. Christina’s training also includes a chamber music residency at Niigata University in Japan and a young artist position at the Johanna Meier Opera Theater Institute where she performed Pamina in Die Zauberflöte. She has most recently performed with Cincinnati Chamber Opera as Ginevra in Ariodante and covered the role of Salud in La Vida Breve. Christina is currently on the roster for Round-About Opera for Kids in Cincinnati (ROK Cincy), an outreach group that provides free performances to schools and community centers throughout the Great Cincinnati area.